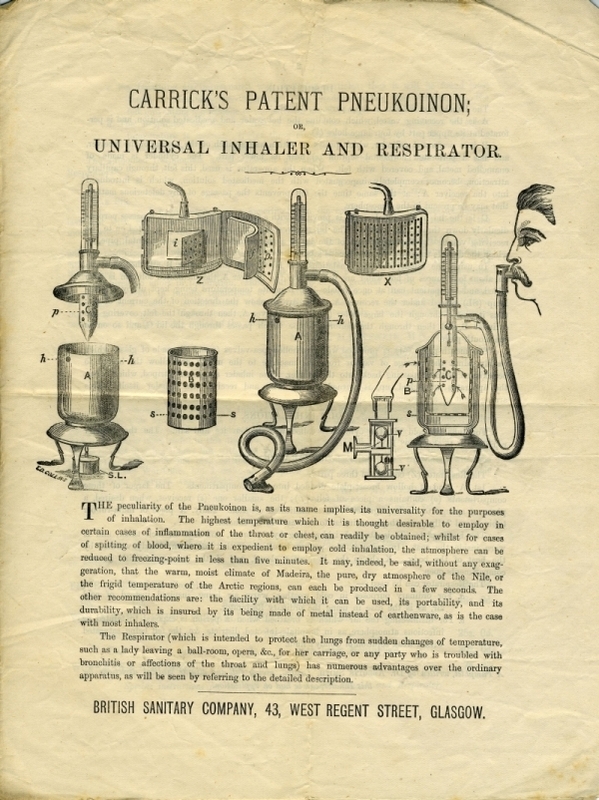 Advertisement for Carrick's patent pneukoinon: or universal inhaler and respirator. British Sanitary Company, 43 West Regent Street, Glasgow. Found inside a library book. British Sanitary Company, “Advert for Carrick's patent pneukoinon,” Heritage, accessed April 24, 2019, https://heritage.rcpsg.ac.uk/items/show/403. 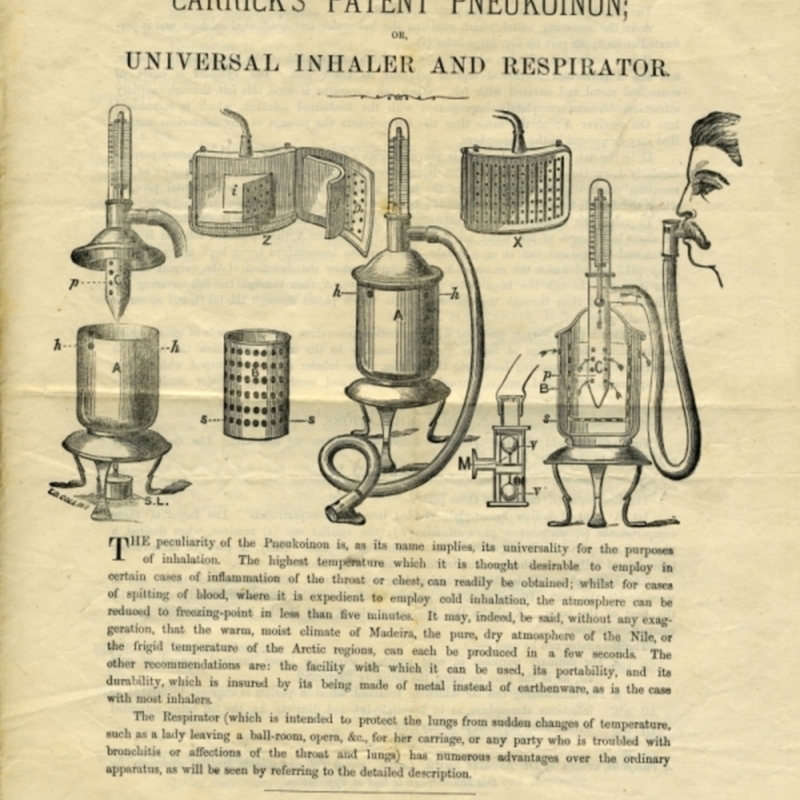 Description: Advertisement for Carrick's patent pneukoinon: or universal inhaler and respirator. British Sanitary Company, 43 West Regent Street, Glasgow. Found inside a library book.